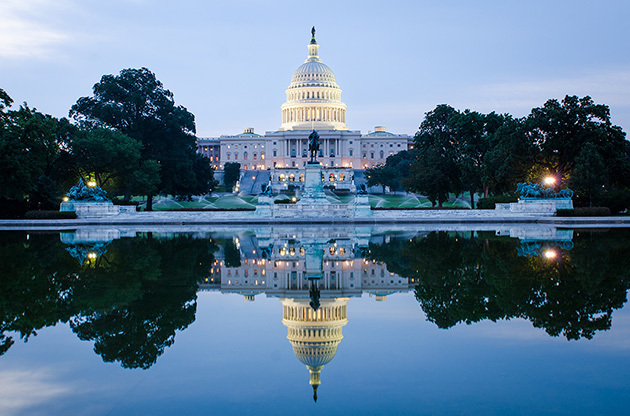 Information and travel recommendation on Washington D.C. as well with the names of popular places to dine, have fun and shop and major places to see. Probably one of the most important capitals in the world, Washington D.C. is also one of the most visited cities in the world. Not only because of the political effect results from being the seat of the government of United States but also the characteristics features that separate Washington D.C. from the other American cities play a crucial part in that popularity. Washington D.C., usually referred as D.C. and known as District, is actually a city with a different kind of history. The city was built from nothing by the will of George Washington in 1790 and since then it has been improving rapidly. Washington D.C. is not a member of any state in the US. Unlike the most of the other cities in the country, it is not possible to come across a skyscraper in Washington D.C.
Home to almost 632.000 Americans in 4 districts, the city is now enjoying being a cultural and recreational hub for the country. Despite the misconception of it is being filled up with a large number of governmental buildings and therefore has a boring look, the city has also got countless places to see and explore. Beautifully designed streets that are filled with stylish boutiques, stores and restaurants usually give the people the impression of walking in a movie set. The capital gives the visitors a chance to get to know the American way of at the best spot possible. At the same time, you will understand the American history better and witness where the modern day’s heart beat at. With a great public transportation system, clean streets, parks that are showing the most beautiful shades of green, Washington D.C. will be one of the cities to be remembered with a longing in your heart. Washington D.C. is located on the east coast of the United Stated of America. How to get to Washington D.C.? There are 3 airports you can use while reaching to Washington D.C. if you are flying from a different country or a nearby city. Ronald Reagan Washington International Airport is located approximately 5 km south of downtown of Washington. You can find detailed information about the ways of transportation to and from the airport on its official website . Washington Dulles International Airport is in Virginia State and is 41 km away from Washington D.C. Expanded information about reaching to/from the airport is provided on its official website . Located 16 km south of Baltimore, Baltimore, Washington International Thurgood Marshall Airport may also be used for getting to the city. How to get around in Washington D.C.? Washington D.C. is really convenient for exploring on foot or by bicycle. If you would prefer using public transportation, godcgo is an excellent portal to get all the information you may need to plan your trip within the city. If you would like to rent a car, not from the airport but from the city, then you may have a look at dcacar , one of the top car rental services in the city. Washington D.C. is a city that hides something interesting and worth a visit in every corner of it. One moment you may find yourself finding more about the history and looking at a portrait of Abraham Lincoln and one another moment you may enjoy a quick picnic in one of the most beautiful parks in the world right in the middle of the city. Sight Seeing & Museums in Washington D.C.
Of course, coming to Washington D.C. and leaving without visiting the White House is not possible. However you may enjoy this visit more if you think about it as a historical place, rather than Barack Obama’s house. It surely carries a lot history in its walls. National Mall has got all the things that are attributed to Washington D.C. West Potomac Park, Constitution Gardens and Capitol can be visited and they are within walking distance to each other. Jefferson Memorial, Vietnam War Memorial, Lincoln Memorial and Washington Monument should also be noted in your list. The city is also home to a large number of museums and sometimes it may be hard to choose which one to visit. National Air and Space Museum, National Museum of Natural History, National Gallery of Art and American Art Museum are among the ones that definitely worth a visit. Georgetown area is famous for the museums and being a university district. In addition to these, it is also known for being a live shopping area with elegant boutiques and jewelry stores. Especially M Street and George Town Park offers a wide variety of options to shop. If you would like shop some souvenirs of Washington D.C. then National Mall is the place you must visit. Dupont Circle is the area where you can find second hand book stores and jewelry boutiques. If you are after authentic shopping then I am sure a visit to Eastern Market is a must for you. Dining & Night Life in Washington D.C. The Mall has got plenty of restaurants to choose from. You will come across a bunch of diners, restaurants, take out places and fast food chains in the area. If you would like to get some recommendations on American Cuisine, you may have a look at our Food in America section and note down some of the restaurants. In addition to large variety of American food, Washington D.C. is the second place where you can have the best Ethiopian food, after Ethiopia of course. Due to the Ethiopian population in the city, this delicious cuisine has got a vibrant scene in the city. If you are planning to visit some of the nearby places around Washington D.C. Baltimore might be a good place since it is close to the city. Baltimore is a characteristic city in the state of Maryland and it would be interesting to spend a couple of days there. In addition, Mt Vernon and Old Town Alexandria, Monticello and Thomas Jefferson Country and Gettysburg might be enjoyable to visit and they are all easy to reach from the city. Event Tourism in Washington D.C.
Washington D.C. is visited by thousands of every year. However one simply cannot underestimate the effect of international events that are held in the city on this popularity. Washington D.C. hosts countless exhibitions, tradeshows, fairs, symposiums, congresses, and conferences every year. The quality of the hotels, the very well-equipped convention centers and venues and world leader organizers turn the city into a hub for these sort of international events. Attendees get the chance to both participate in their desired event and explore this beautiful American city.